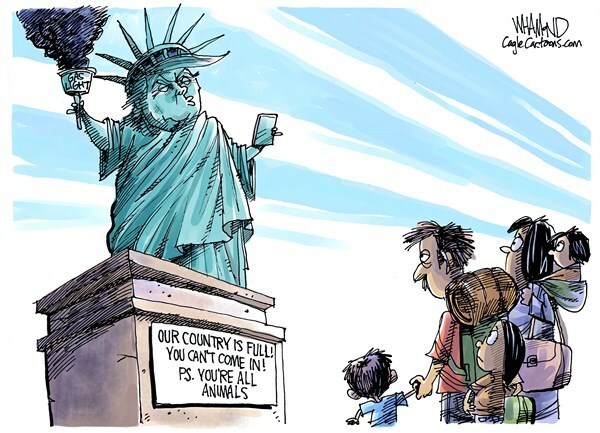 So many people have staggered away from Donald Trump’s smoking wreckage, via resignation or removal, that it’s tempting to employ black humor – to quip, for instance, that Homeland Security Secretary Kirstjen Nielsen quit because she wants to spend more time caging her family. What a thankless job she had. One of her first experiences was attending the January 2018 meeting where Trump made his racist remark about “s-hole countries.” She didn’t want to confirm that she heard it, but she didn’t want to deny it, either. So she said: “I don’t recall him saying the exact phrase” – a statement with enough wiggle room to accommodate an 18-wheeler. The soiling of her soul had begun.